Is leadership training up the pole? 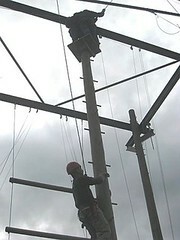 A recent visit to a leadership training camp prompted the question ‘what’s the point of all this pole climbing?’. The very reasonable question was posed by a colleague who had not been part of the experience. Where to start? It is perhaps a dilemma of leadership. No amount of conceptualizing seems to help answer such a question. The fundamental divide may be between those who learn from experience, and those whose reluctance to engage with experience prevents them from ever finding out for themselves. It is very difficult to demonstrate the direct link between experiential learning and subsequent real-life behaviors. Therefore, the cost-effectiveness of such programs are also difficult to demonstrate. Individuals will have very different capabilities to cope with the physical and emotional challenges they are confronted with. Organizations are increasingly aware of the corporate duty of care, and where the ultimate legal responsibilities and sanctions fall. It is very difficult to demonstrate the link between almost any form of business education and subsequent real-life behaviors. There are various technical reasons. These can be found (among other sources) in the Chapter in Dilemmas of Leadership as well as in texts on evaluative inquiry for learning in organizations. The entire Business School curriculum is increasingly under pressure to accept its limitations, and change to cope with the challenges of the 21st century. The rankings of Business Schools are widely regarded as based on dubious mathematical manipulations and rely on indirect measures of assessing educational value (proportion of faculty with higher degrees; average salary gains among its graduates; ratings in scholarly publications …). Nor is there much agreement about the relative merits of various ranking systems. Students generally rate experiential projects highly. The exit assessments for the cohort of the Business School described here were overwhelmingly in favour of the projects as a valued part of the course. Here’s a challenge. There must be better ways of assessing the impact of experiential learning as part of a business education. It is early evening, Friday June 6th 2007. I stagger into the courtyard after two days of Project 2 presentations from the class of 2008. The Class of 2008 is a recently introduced label for what used to be called ‘the first year MBAs ’. The new name reminds us that the class graduates in 2008. Similarly, the class of 2007 is the distinguishing label for ‘the second year MBAs’, now close to graduating. Next week, examiners’ meetings will settle the fate of members of the class of 2007, and confirm which members of the class of 2008 will or will progress towards graduation. Project 2 occupies a pivotal space in the MBA timetable. It’s where teams of MBAs take on projects on behalf of business clients. The projects have been selected as requiring the team to work from a starting brief towards something with more clearly specified and feasible objectives. Most team members have quite a few years experience in business roles. But Project 2 still presents some tough new challenges. An end-of-semester barbeque is underway in the courtyard. I can’t smell the coffee, but I can smell the hamburgers. The event has been organized in support of a local charity by an indefatigable student from the class of 2008. All seats in the courtyard have been claimed, with the unoccupied ones being guarded for hunter- gatherers in the Barbie line. I try unsuccessfully to see if the sustainability team members were opting for non-veg hamburgers. Could that be the team that had pulled no punches about their lawyer clients now supping enthusiastically with junior council? It was. I wondered if the barristers had liked my ice-breaking joke a few hours earlier to welcome them? The one about there being no space in front of the School for their chauffeur in the corporate roller? I decide they didn’t. A couple of months ago, the teams from the class of 2008 had bid for the Project 2 assignments they would like. Before that, there has been a lot of work by the project support staff, canvassing for projects. After the student bidding, there are some disappointed students and some would-be sponsors. There will be further bidding. It’s a neat process, with good learning challenges. One down-side is that faculty have trouble in advance predicting will be favorites. This year I tried to hard to ‘sell’ a project only for the offer to be totally spurned. Another great project (so thought the tutors) was likewise turned down. Teams have offered assorted explanations for their preferred choices, but there’s no obvious pattern revealed, and maybe undisclosed reasons. A strong tradition has emerged that the specific details of projects remain confidential. The senior administrator of the project has a shredding machine in her office, and she ensures there are no documents that might lead any information to be revealed to anyone outside the restricted circulation list. Which is one of the reasons I won’t be saying much about the projects. Project 2 took place over roughly the time period of the BBC TV show The Apprentice. I am immune to the charms of Alan Sugar’s program. I am spending quite enough of my waking and working days with teams of people working on business tasks. One more time: what is The Manchester Method? The Manchester Method is a learning process of a kind which permits participants to engage directly with experience, and which facilitates links between the experience, and relevant theoretical concepts. But I still show overhead visuals with an earlier definition which actually is a well-known description of organizational culture: The way we do things around here. The MBAs learn about leadership, co-dependence among team members, dealing with multiple ‘stakeholders’, tackling the ambiguities of business projects, and much more beside, A minority will go more deeply into the pedagogy, in personal logs and follow-up studies. Each project is unique. But every project has been selected so that it permits learning rather general behavioural principles. One set of these were imported from the pioneering work of The Tavistock Institute. These suggest that any social group will be prone to defense mechanisms against uncertainties, and perceived threats and fears. The symptoms are easier to detect from the outside. They are broadly actions which can be interpreted as scapegoating, finding in a person the symbolic object on which to project blame. This is where it gets interesting. A team may have someone who is not working very hard. In some cases the rest of the team acts to get rid of the free-rider. In another team, the team is unable to make contact with the sponsor, and is at risk of not completing the assignment. Sometimes the final report then puts too much emphasis on the weaknesses troubles of the sponsor. Yet another team finds an explanation of their difficulties as unprofessional behaviors of a tutor, or course director, or maybe collective incompetence of those connected with the project. These are the dynamics which are swirling around. They reflect what happens when teams tackle tough problems. They have not been deliberately inserted into the project as a social experiment. And, the faculty does not deliberately act in what are described as unprofessional ways. As painful as the process is, the mini-crises do turn out to have scope for constructive learning. I reflect on some project highlights and lowlights. Not for the first One team, frustrated by actions (or inactions) of its tutor decides they have been badly treated. Why not send the tutors a memo? How about sending a copy to the project coordinator? In which case, it may be better to send a copy to the overall course director as well. In which case, maybe a copy to the Head of the School seems an even better idea. What Didn’t we get a better Grade? Today I had another familiar requests on behalf of a team. Why didn’t we do better? One student has arranged to meet with me to discuss this. How honest will I be? Will I find time to turn the discussion [later today, July 4th 2007] into a further little opportunity for personal development? Not just for the students, but for myself and maybe others involved in the project. Will I be able to recheck with the second reviewer before the meeting? Will I find my notes out of which we agreed the particular grades two months ago, for the seven presentations we sat in on ? Will the notes still be somewhere in the middle of the pile of documents in my office, ‘tidied’ into archeological layers in a ‘pending’ pile? The tutors on the project are still trying to arrange time to get together for a debrief sometime during the following few months. Immediately after the project there was a general exodus to catch up after seven weeks more closely confined to barracks. Holidays, conferences, last-minute contingencies, and (honestly) out-of-town responsibilities mean we are still trying for a date that works for a full complement of the dozen or so support staff directly involved in the project. Each year there are various suggestions to fix what went wrong. Some ideas make it into next year’s project planning. At first, tutors may have to introduce changes as experiments, aware that any change which impacts on assessment is not ‘authorized’ until accepted after scrutiny on various committees. Also, the experiments make documentation a little-less reliable. Projects are particularly challenging as a mode of business education. We tend to keep faith in the benefits of this kind of experiential learning. A surprising proportion of colleagues hang in there, rather than seek alternative ways of justifying their careers. That’s not to say we do not also experience some of the doubts and darker moments of the MBA teams. As one management scholar liked to say ‘every project appears to be a failure in the middle’. creating-for-a-client.pptThe process of creating insights for a client is helped by a creative team leader. This post offers a systems model for such insight leadership. Project leaders have sometimes told me they do not understand how they might support team creativity (rather than individual creativity). This has been the topic of earlier posts, under the Project Leadership category (To be found in the Categories list in the sidebar, right). In this post, I offer a descriptive model or conceptual framework with which to explore the processes of creative leadership. The abstract ideas will be easier to follow if you are actually involved in a ‘live’ project, and follow the powerpoint presentation as an additional explanatory aid. The framework draws on the basic principle of a creative leader which I came across many years ago. My mentor was George Prince, co-founder of the Synectics organization, and author of an excellent practitioner handbook, The Practice of Creativity. A recent web posting gives some idea of the principles of synectics. That post under-estimates the importance of a team-leader as facilitator. However, it does illustrate the kinds of micro-structures which have become adapted and borrowed over time, into other various non-proprietory systems. Many years of work with experimentation with versions of techniques and principles for creative teamwork have led me to the view that the role of the creative team leader lies in supporting the team members through various ‘process’ interventions for enhanced positivity, extended effort, and various ways for seeking unobvious ideas of value. We may apply the principles to the context of a creative team leader within a project for a client or sponsor. The dynamics have some similarity with the facilitator in the original synectics writing, but also some contextual differences. Client: who seeks insights which go beyond his or her prior beliefs and assumptions. Differences: The insights in a project (compared with a creativity session) are likely to occur when with the client, creative team leader and team members are not co-located. As a result, the ideas from team members have to be transferred and tested. The differences between the creativity session and a project are shown in the powerpoint presentation. I hope to revise this. In its current form, the slides show how a formal leader is a restriction of insights, and a process leader in contrast balances freedom and structure. The presentation indicates how a client will have a world-view or Platform of Understanding (POU -c), which can only be glimpsed in a project brief. During any project, the team will build up its shared Platform of Understanding (POU – t). For the client, team suggestions become opportunities for confirming or disconfirming the original (POU – c). An insight will tend to disconfirm some aspect of the earlier POU – c.
The team in its efforts to understand and help the client will seek to operate with a POU- t which they believe to be a close representation of POU – c. With or without help from a creative (process) leader team members seek insights arising from their emerging POU- t and which they believe will also be insights for the client. If this process were to take place in a creativity session, the team would be encouraged by the process leader to listen and learn from the client, and vice-versa. My experience is that teams who engage in such sessions frequently find that the process indeed helps a client reach creative insights. One important opportunity will be the final meeting when the team and its process leader presents findings to the client, as closure on the project brief. This is where the proposed ideas or ideas have to find a client prepared to receive them. If the POUs are well-matched, there will be more chances that the client will be open to ideas that disrupt the original POU -c and assumptions carried into the project brief. If they are not well-matched, the outcome is highly uncertain. Some clients will be able to make the required ajustments; other will not. This has all been very abstract. I think it helps explain how some teams are able to spark off creative insights, and how others fail for reasons to do with failing to understand where the client is coming from’ and where he or she is likely to go. How dependent is new product development on creativity, team working, and collaboration? The UK Arts and Humanities Research Council is sponsoring a series of workshops exploring such issues. On May 3rd, 2007, Tudor Rickards presented findings on creative leadership, drawing on extensive studies of MBA project teams at The Manchester Business School. Salford, once famous for the much-loved TV soap Coronation Street, has taken on a high-tech image. Its vision of a Media-city helped it to beat its larger neighbour Manchester for the prized rehousing of a large chunk of the BBC’s operations. Salford Quays, walking district from Manchester United’s Old Trafford ‘Theatre of Dreams’, has become a trendy waterside address. On May 3rd 2007, Salford University hosted a workshop on the roles of team-working and collaboration in new product development. An invited group of fifty designers, managers and academics took part in the event, which is one of three workshops exploring creativity in design and new product development, sponsored by the British Arts and Humanities Research Council. 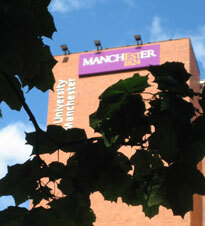 Manchester Business School has developed an approach to management education which involves its students in ‘living cases’ through working on projects with organizational sponsors. The design helps integrate direct business experiences with more traditional classroom lectures. The workshop learned of the spin-off findings for creative leadership in business projects. How might team creativity be liberated through the application of structured approaches (such as brainstorming and Lateral thinking)? How might creativity in project teams be assessed? Experience from several hundred projects over three decades, suggested that a structured creativity approach ‘works’ if the team has a process leader, who is primarily concerned with setting a creative climate for the team, and who helps the team members collaborate and achieve ‘yes and’ rather than ‘either-or’ results from working together. Assessment of team creativity and creative leadership is carried out through a team factors inventory which has helped identify factors associated with effective team leadership and team performance. It was suggested that effective creative leadership provides space within which intrinsic motivation and creativity of team members flourish. The leadership style is characterized as invitational, and trust-based. Creative leadership remains a topic open to further applied studies. The Manchester Business School approach offers a promising template for such research. There’s plenty of advice for web-workers and leaders. Tips abound. But will they be any good for you? Here’s a meta-tip on how to benefit from those attractive looking bits of advice. This post is about hints, recipes, suggestions, or tips. It came about in a period when I was open to tips for new ideas. This was because I had been postponing any preparation for an upcoming video-conference meeting. I don’t do video-conferencing much, either of the new-fangled web-cam or of the older studio variety. Maybe, as the deadline approached, I might have thought about how to make a good contribution, in what has been scheduled as an important review of a new distant-learning course. Rightly or wrongly, I was operating out of habit which I can now codify as a tip. Don’t spend time looking, if the dog always comes back when it’s hungry. But I interrupt myself. Here’s another tip from me to you: Don’t interrupt yourself. You’ll have enough difficulties with other people’s interruptions. Alerted by a wordpress hotpost, I found a site dedicated to tips for webworkers. The specific tip was ‘talk more slowly’ . This may appear incredibly trivial. But I will argue that there is a good reason why that doesn’t matter. Here is the tip for webcam conferencing. From the web-workers blog, I was taken by the surfing waves to another blog. This one had tips for programmers. It argued that you should list problems instead of next actions. These two tips led to some musing about how and why tips work. How and why tips work. There’s a real attraction to tips, and has been, for as long as you want to go back in history. Moses came up with ten tips for his people. It’s still a popular format. ‘Ten tips for speed dating … ten tips for stopping athlete’s foot … ten tips for pain-free weight loss’. The tipster may not have the authority of a Moses, but somehow we always want to try the tips. The easier the tip is to try, the more likely we are to give it a whirl. An interesting question. Suggestions are welcomed. One possibility is that the tip is a promise of instant gratification through action. Frustration is overcome. You could say you have bridged the thought-action gap, and escaped anxieties associated with lack of control. I could go on, but will spare you (Tip: Self-indulgence including self-interruption comes at a price). Another attraction is the attraction of the promise made, backed by the authority of the tipster. Sometimes charismatics get away with Forest Gumpery. Someone I worked with, and who had the charisma which made him a potent tipster. One tip in particular would always have the audience scribbling it down, nodding in awe and approval. This was his tip. Treat assumptions as facts, and facts as assumptions. Wow! Profound? Forrest Gumpery? Profound Forrest Gumpery? A tip is a proposed operational procedure which provides an opportunity to learn about more general conceptual principles in specific action contexts. So, brainstorming instructions permit brainstorming actions, which permit reflection on how the principles worked, why, and how they might be fixed when next called into use. If you are rather averse to tips, because of their apparent triviality, don’t be. In the example cited above, ‘talk slowly’ appears a trivial point to make. In the specific circumstances of video-conferencing it is far from trivial. You have to work out pace in absence of cues within a face-to-face discussion. According to the meta-tip, the proof of any tip can be established through the link you make between the more general idea, and specific action. Listing problems not actions is a bit more complicated, as it is itself something of a meta-tip. (‘My meta-tip is better than yours’). At least that gives us an angle to explore things more deeply. My take on this would be to suggest that a refinement of the tip may be: think problems and actions’. That seems to be moving towards a synthesis of both positions. In a BBC interview, BT Futorologist Ian Pearson says that employers are recognizing the virtues of interpersonal skills (sometimes called soft skills, and as a differentiator between masculine and feminine behavioral styles). The impression left by the article, is that team players are becoming more valued than leaders by employers. Also, that women are better team-players, and therefore also more valued by employers than are men. The arguments leading to such conclusions need a bit more examination. Either hypothesis when put to empirical testing will quickly be shown to be highly context dependent. At which stage, the researchers begin to mutter about ceterus paribus , or contingent variables, or in everyday terms ‘other things being equal; or ‘it all depends’ . Unfortunately, empirical research catches popular headlines more easily if it can be reduced to a simple statement. We have to work at the proposal to sort out the factors behind he assumptions. So let’s do a little more work on it. Are team workers becoming more favoured over leaders by employers? Yup, you guessed it – it all depends. It depends on what the statement means by leaders, team workers, and even (less ambiguously) by employers. It depends on the sorts of employment, and the sorts of team task. As stated, the issue can be tested. Are employers placing team working skills above leadership skills in making their selection and recruitment decisions? Has that become standard practice in BT, to take the specific case with which Professor Pearson is particularly familiar? What is the evidence that the same applies to other private sector organizations in our global marketplace? For what it’s worth, here’s what I think is going on, and what sense I can make of it. First, long-held views of leaders and followers have come under some scrutiny. The old ideas was that leader took the decisions, the followers carried them out. ‘Good’ followers ‘obeyed orders’, but you can see where I’m going there. More recently, this view lead to tricky dilemmas of leadership which have not gone away. Among the most promising of attempts to deal with the dilemma of ‘followership’ was the search for methods of power-sharing, so that followers all had status differentials removed, and all became members of the same team. (I know a very large organization that actually banned the word ‘manager’ in the height of enthusiasm for a team-based approach). With empowerment came motivation, and the end of the economist’s bane, the economic free-rider. From that perspective it was an easy step to develop the idea of distributed leadership. But what happens to the ‘old style leader’. This is where I think I can make common cause with the Pearson thesis. The weaknesses of the old style leader have been rumbled. The special one has to become a special team player. More than ever, in team work, the leader is nor more, and no less than a team player. And as such, the team player needs those desirable soft skills. Planning a project, planning a wedding? Maybe it’s preserving her sanity as she completes an MBA and prepares for her wedding. Anyway, to help in planning her wedding Jane says she is using a mind-map that she came across in class. I’ve been a big supporter of mapping complex projects since working with Tony Buzan, some years ago. Tony has introduced his mindmaps (Buzan Diagrams) to millions of people around the world. At the start of a project, a mind-map is a neat way of team-building and communicating. Maybe that’s why it works for a wedding, too. I still like the older methods of flipcharting, but there’s a lot to be said for a team working collaboratively on an electronic version. I’m not sure, but I think they also called the mind-maps spider diagrams, and the map-maker spider map woman. Why not try mind mapping? You can find plenty of examples of free mind-mapping through the web. And you may even find you can plan a wedding using them (best to involve two partners, and any other members of the supporting cast you feel you can cope with). You are currently browsing the archives for the Project leadership experiment category.